Wildlife viewing is a popular pastime. A large part of its popularity is due to the fact that it can be enjoyed by people of all ages, at any time of the year, and in any location. But, human vision being what it is the enjoyment of viewing wildlife ends as the sun sets and our vision fades. Unfortunately for nature lovers, this limits their viewing to daytime animals and hours, so they miss all the natural wonders that take place after dark. Many different and fascinating animals such as bats, possums, raccoons, foxes, large cats, coyotes, and wolves are most active in the dark. For nature lovers who are interested in viewing the adventures of these nocturnal animals the use of night vision goggles can open up an entirely different world that exists in nature after the sun has set. In fact, night time wildlife viewing is becoming so popular that eco-tourism businesses are starting to offer tours using night vision goggles. While the equipment itself is fairly easy to use for some people using night vision can take a little getting used to. Unlike the natural eye night vision goggles have a limited range of vision. Some people may find the goggles to be a bit uncomfortable to wear initially, but after a while they get used to the feel and begin to make adjustments to their vision. Another adjustment the wildlife enthusiast will need is to make is in how they go about finding wildlife. To view nocturnal animals the user will need to learn specifically how and where to find them. Unlike during the day, when someone is viewing at night using night vision goggles they cannot simply come across wildlife. The user must find where they congregate, know what their habits and sounds are, and what the signs of their movement are. 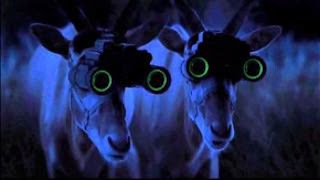 Once the animals have been located someone using night vision will be able to experience nature in a way they would not be able to using other devices such as covered LED flashlights. Night vision allows the user to see the entire animal not just shadowed movements, or the shine of their eyes. Also, since night vision goggles produce no external light they do not disturb, or startle the animal. This means that the user will be able to get closer to the animal and observe its activities for longer periods of time. Night photography is a great hobby that many people can enjoy in many ways. Learn how night photography can be a fun challenge to take on in the world of taking images, and see if this creative pastime is right for you. With so many different ways to be creative, night photography can be a wonderful hobby for nearly anyone when you use the right night vision photography. What makes night photography such an enjoyable experience is the fact that most photos are obviously taken in the daylight. Since proper lighting needs to be created and adjusted to impose the perfect night shot, night photography is not for the novice photagrapher. However, this type of photography opens whole new doors for those bored with the traditional style of capturing life's tender moments, and anyone can learn how to capture the perfect shot without the sun to guide them. Night vision photography is also very exciting. Who knows what happens in the night sky without the daylight to expose everything? Night photography captures a whole new realm of natural wonders, and makes posed traditional photos appear more artistic and mysterious when they are taken under the night sky. If you are a person looking for an adventurous way to enjoy taking pictures, night photography may be the perfect hobby for you. When it comes to taking photos, there is a certain skill and acquired patience that must be put into play when exploring taking photos during the night. Without the sun's natural light to aid your pictures, you have to come up with whole new ways of illuminating your images and making them look amazing. If you can master taking a picture in pitch darkness, you can appreciate the sheer talent and skill that goes into creating a beautiful image in the night. Night photography is a great way to change up the traditional style of taking pictures. Whether you are just looking for a new hobby to explore or have an interest in taking on the world of photography taken during the darkest hours, this style of photography is a rewarding and challenging way to create those perfect images in a whole new medium. This fun and daring form of photography is a great way to express yourself in whole new ways and create beautiful pictures you'd never see in the daytime. With night photography, the possibilities are endless, and you can let your imagination run wild. If you are in the market for buying Night Vision Optics for Detective Work, then you have come to the right place. It is easy to become confused by all the technical lingo out there that describe the variety of Night Vision Optics, but one can be sure you will find exactly what you need for all of your Detection needs. Many types of people use Night Vision Optics (NVO), whether you are a soldier, police officer or a woman scorned, you will have many types of equipment at your disposal along with many degrees of performance. Doing your research will prove beneficial once you actually purchase the equipment. What Are The Different Types Of Night Vision Optics Available? There are many types of NVO’s on the market today. You can find Night Vision Goggles, Night Vision Scopes, and even thermal imaging devices such as cameras that offer varying degrees of performance. Some of the night visions scopes, binoculars and monocular are offered in very simple and easy to use Gen. One Night Vision to Generation three, Military grade Night Vision. If you are a hunter, and hunt at night you can also find Night Vision Optics for the scope on your gun. As for doing detective work, Night Vision cameras and binoculars are probably the way to go. All Night Vision equipment amplify any existing light and help to amplify it to get the best quality image possible. The use of digital Night Vision equipment is becoming more main stream and more readily available to the general public. But statistics show that most people stick with what works and what has proven itself over and over again. If you are using this type of technology for detective work, it is very important to have the best equipment on the market. Especially, if the findings will be used in the court of law. Night Vision Optics Used For Detective Work, you will want to choose the binoculars or camera that suit you, your situation and your wallet the best. You will also want to find out how much light you will have available to you, as you do need some light to use NVO’s. Some equipment comes with and internal light magnifier that will help produce the amount of light you need, and do so with the technology to help keep you from being seen. This is much better in detective work, than using the old flashlight and camera method used in the past. Come into the present and think about your future when Night Vision Optics are used for Detective work. Up here in Northern WI, the Native Americans are seriously considering hunting deer at night with the aid of night vision binoculars. It is my simple opinion that Native Americans should be able to do what they want to on their own lands and that night hunting is something they have done for many years. A full moon with fresh snowfall and archery hunting can safely be done all night long. It can not be because the laws forbid night hunting, but if the Native Americans want to do it on their own lands then I think they have all right to do so. My only issue is when you place Night Vision Optics on a rifle you have severely changed the nature of the hunt. I don't think most Native Americans would like to see this happen either as it takes out the sport. Thermal Imaging Systems are like a regular camera in that they take videos or photos, but that is where the similarities stop. Thermal Imaging Systems measure radiation instead of light and areas that create more radiation, or are warmer, register in different shades or colors that those areas that have a lack of radiation. A photo of a person would show the area around the eyes, nose and mouth white to yellow, and the colder areas like feet and fingers might register as blue or black. Thermal Imaging systems are used for many different applications today. Thermal cameras were used as far back as the Korean War and World War II to find targets for bombing purposes or to see the location of enemy troupes in the dark of night. Police use thermal imagers to see where people are located. They can tell if someone is in a dwelling or the positioning of people in a building enabling them to save hostages and capture perpetrators. Border patrol finds thermal imaging helpful in catching those that would illegally come across the border with or without illicit drugs and weapons. Fire fighters use thermal imaging to find people in forest fires or burning buildings. Thermal imaging systems are used for surveillance as they can indicate intruders during the dark hours of night. Construction workers use them to find areas where insulation is not working correctly. A dark area around a window indicates more insulation is needed so that cold does leak in during the winter and air conditioning does not leak out during the summer. Utility workers use them to find hot spots in power lines and mechanics use them to find areas in in engines that run hot. Doctors are beginning to use thermal imaging to find infected tissue in the body and can even detect some types of cancers. A popular use for thermal imaging is in paranormal studies. Paranormal entities that cannot be seen by the naked eye, either give off a great deal of radiation and are hot or create cold areas because of low radiation. They are easily indicated on a thermal camera in bright yellows and reds or in cool blues and purples. Night Vision Night vision is a catch-all phrase that refers to any of the methods available to see in low light conditions. The technologically based methods are thermal imaging and image enhancement, with different categories in each of these methods. Biological night vision is something only possessed by animals, usually nocturnal predators or creatures that primarily live in low light conditions. Many animals possess an extra bit of tissue in their eyes that humans do not have. This tissue reflects the available light back into the retina increasing the amount of light to see with. Some other traits such as larger pupils and unique adaptations in the visual properties of the eyes also enhance the low light vision of these animals. Some night vision devices work on a similar principle as biological night vision by capturing the available light and then amplifying it. This happens by capturing the ambient light and near infrared light and converting it to electrons. These electrons push through a microchannel plate that causes collisions to excite the atoms and generate more electrons. Converting this greater number of electrons back to light increases the amount of light used for sight. This is usually known as image enhancement and is how night glasses and low light cameras work. Infrared light is best thought of as three different types of light. Two types of this light reflect off of objects, but this is not visible to the human eye. They are known as near infrared because it is closest to the visible spectrum of humans and mid infrared which is further away from the human spectrum range. Objects emit the third type of infrared light and the hotter an object is, the more infrared light it emits. Thermal imaging makes use of infrared light emissions from objects. This light is not visible to the human eye, but cameras can capture it. Thermal imaging works in near darkness conditions and does not require ambient light to function. Thermal imaging devices work by focusing the infrared light of all the objects in view onto an array of infrared detectors. These detectors convert the information into a temperature pattern known as a thermogram. This is translated into electrical impulses and sent to a processing unit. This converts the impulses into data for displaying on a screen. The performance of thermal imaging devices improves if the infrared-detector elements are kept at a low temperature, but this is impractical for field work or transportable devices. This type of night vision combines the capture of near infrared light with cameras that can detect it. 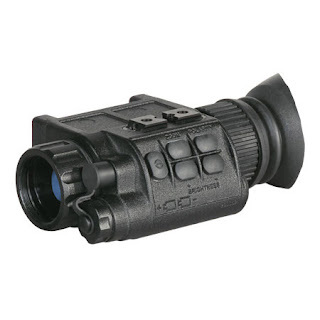 This produces a black and white display with much greater resolution than other types of night vision technology. It is most common in security camera applications of a static nature like protecting a warehouse or residential home. It is not viable for tactical military operations because other types of night vision devices can spot the infrared light, and it would give away the position of the troops using it. It is worth noting that some animals are sensitive to thermal images as well. Snakes like the cobra are known for being able to strike the hottest areas on their prey's body. This makes their poison attack more effective since the hottest parts of the body are usually where the vital organs are located. Night vision technologies have become popular due to their use in movies and television shows, but their function is generally misunderstood by the public. 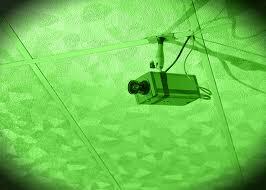 Night vision devices use available light to work and are not functionable in complete darkness. Thermal imaging devices are more useful in situations of greater darkness since they are not so reliant on light. Night vision technology isn't just for the military anymore. Though the best equipment is typically affordable only for military or police use, cheaper night vision gadgets are easily obtainable for everyday citizens to turn what used to be the dark into a whole new playground. Though some night vision equipment used for government applications also harnesses thermal imaging technology, which captures infrared light being created by heat, most merely use image or light enhancement technology. This involves collecting what little light is left in a dark area, such as starlight or moonlight on the bottom end of the spectrum of infrared light, then amplifying that light so that it can be seen. The path from darkness to light, in scientific terms: The photons of available light are cast by an objective lens upon a image intensifier called a photocathode. Electrons are emitted from this cathode, which then multiply and become intensified by a "microchannel plate" until finally passing through a phosphor screen, which allows the viewer to see a more robust version of those original scant photons of light. The result of consumer night vision is what is commonly known as a green output image. These images have greatly improved in vibrancy and cost-effectiveness since the technology emerged on the market in the 1950s. A person without night vision can see in the dark about 250 yards under a full moon and about 50 yards under a quarter moon. Now, with consumer-level night vision technology, that person can see 890 and 850 yards, respectively. Even with overcast skies, dimming out even starlight, night vision can let the average person see more than 200 yards away. Depending on the quality of the camera and conscientiousness of its manufacturer, night vision binoculars can vary widely in their effectiveness. The military-model ATN PS23-4 night-vision, helmet-mounted binoculars -- sell for upwards of $11,000 (USD; November 2012) but allow for visibility of up to 200 yards in total darkness, an infrared "illuminator" component, high-resolution auto-focus, and can be dropped in water. On the other end of the spectrum, toys like the Spy Net Night Vision Surveillance Goggles cost about $40 (USD; November 2012) -- and at least allow for about 50 feet of nighttime visibility. How much more does a brother need to torment a little sibling? Not to mention, this toy lets owners record up to 20 minutes of video or 2,000 photographic images on a USB device that allows for later access via computer or TV. Most of the night vision goggles manufactured in 2012 retail somewhere between these two extremes, in the $200-$500 (USD) price range. Some forego buying a dedicated set of goggles anyway, and just get a video camera instead. Since the 1990s, many home video cameras have come with standard with a night vision mode. In 2009, Samsung became the first to make a cell phone capable of recording video in night vision, the SCH-W760. Night vision technology is now an integral part of many home security systems too. For upwards of $100 (USD) each, wireless cameras capable of infrared, night vision and regular spectrum capture are helping regular civilians perform surveillance on their properties with military proficiency. These wireless feeds can be monitored day or night, with motion-detection alerts, from a master terminal displayed on the laptop of a property owner who's sipping margaritas thousands of miles away. Ah, technology.